Vijaypal Rawat did BA in History, English & Political Science. He then did Masters in Mass Communication and a Diploma in Journalism. He started his career with Dainik Jagran and worked as a journalist for some time. He now works independently as a journalist. Journalism refers to the production and distribution of reports on recent events. The word journalism applies to the occupation, using methods of gathering information and utilizing literary techniques. Journalistic media include print, television, radio, Internet, and, in the past, newsreels. 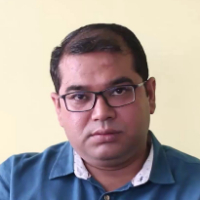 "After completing graduation, Masters in Mass Communication and a Diploma in Journalism, I started my career with Dainik Jagran and worked as a journalist for some time. I now work independently as a journalist."